Complete the polish look with this matching Di Simo table set. Our new Di Simo table set features versatility and elegance which meets all your display needs. 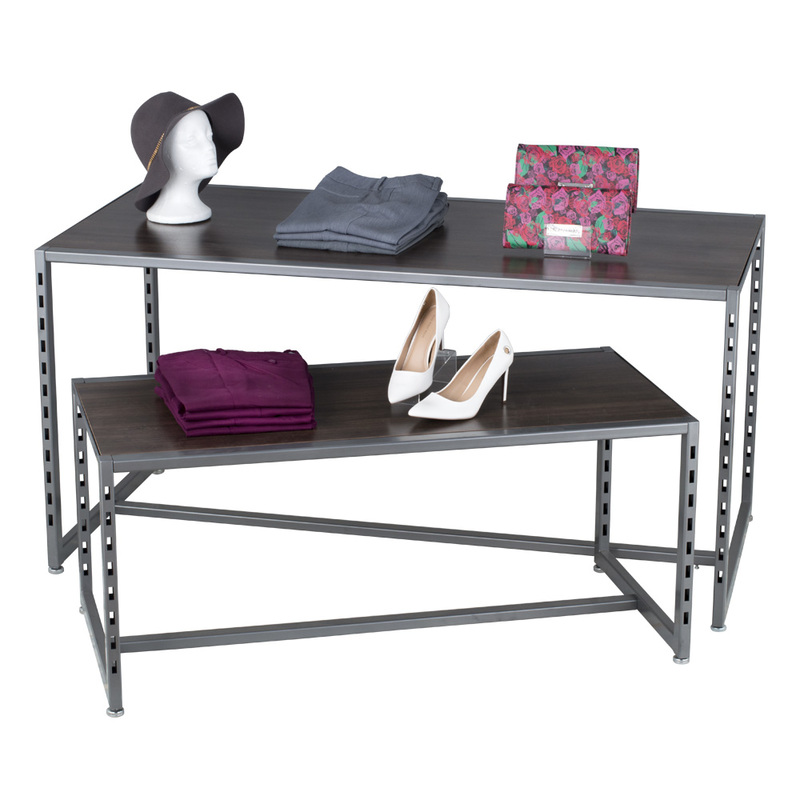 Premium laminated walnut surface and dark gray powder coated finished hardware will fit perfectly with your store merchandising needs.